Effective Guide to do Local SEO 2019: How to Rank Up in Google Maps! You use SEO because you want to be visible on the web, and gain leverage against your competitors. Thing is, old generation of Google’s algorithm gives you an entire country of competitors, or difficulties in localizing your stuff. To solve such problem, Google have launched the “Pigeon” in July 2014, paving the way for local SEO to help various business on certain local areas. What is the Pigeon Update and How to fly with it? In simple words, the Pigeon is a new algorithm of Google that was launched in July 2014, aiming to give significance in localizing SEO for local business. Say, you have one branch of pizza parlor in your city, it makes no sense to focus competing with shops on other cities. The Pigeon update can help in bringing more people from the city to your pizza parlor, as they could easily see your brand upon Googling for a pizza place in the city. That could help in significantly decreasing competition for local business while bringing in more customers to their place. Of course, the kind of industry where a business belongs could say if this is a beneficial thing or not. After knowing about the Pigeon update, you should definitely know how to fly with it. Remember that going local for SEO is not just simply adding keywords tagged with your city’s name throughout your contents. Thus, it’s important for you to read this quick local SEO guide to help you have 3 basic ideas on flying with the Pigeon efficiently. Remember that a business’ vital details, like contact info for example, are one of the first few things that potential customers want to find. Thus, it’s important to make your NAP or Name, Address and Phone number with area code along with other info consistent across the top-ranked directories. In fact, as a significant on-page content, NAP plays around 21% of the SEO results. You wouldn’t want to miss that. Put your NAP in an easily crawlable HTML format, position it at the footer of your content, and never put it in a non-crawlable image. Make sure it contains the same formats and the same info details across directories. For your email contact info, use your own business domain instead of generic email domains like Gmail. Those quick ideas should help you optimize your NAP efficiently, and make it consistent on different directories. Local customers tend to choose credible brands or business over questionable ones, and that’s a basic marketing concept on or off the web. Thing is, the Pigeon optimizes such concept for your advantage, even today using local SEO 2019. Make your NAP consistent, as discussed earlier. Claim your business or brand on Google My Business. Remember that positive reviews could influence around 90% of local customers, and negative reviews deter around 86% of them. Thing is, buying reviews to acquire hundreds of them at once is never a good idea. Thus, encourage your customers to leave reviews after buying or availing your stuff. Moreover, you can link people to your review sites, so they could read reviews about your business or leave reviews themselves. In addition, the moment you get negative reviews, you can also make it a local SEO advantage by approaching it appropriately and professionally. Just remember that review sites could take down defamatory reviews upon your requests. Next, make sure to polish your reputation on Google My Business. You can do it by fixing your NAP’s consistency, acquiring more quality reviews, and by making your business look nice. The trick here is to upload more quality pictures all throughout your business operation. Generic photos doesn’t easily hook customers, but HQ photos can do the job. Backlinks are one of the biggest tools in acquiring organic SEO results. Even in the Pigeon update, it still plays significant roles for local business. Thus, local SEO tells that it’s important to polish your appearance on social media sites as well, and make your business relevant for your community. Like the pizza parlor example earlier, simply selling pizzas could be great, but sell it for an upcoming local football league and it could do wonder. You can do it by taking pictures and videos of your community, while subtly or obviously promoting your brand in it. That could help you acquire more visits, potential customers, and eventually push your authority up the Google ranks. Telling stories about your community could also do great, as long as it could help in gearing customers towards your brand. Say, you offer catering services, you can also suggest the best venues in your local place for certain events where you can serve. Of course, don’t miss to do common yet reliable link building methods to help in further improving your website’s authority. So remember to make your NAP consistent across various directories, for customers to easily find vital details and info about your business or brand. Next, gather sufficient yet quality reviews, and claim your brand or business on Google My Business to boost your credibility. Finally, make your brand or business relevant for people in your community, and help it acquire more backlinks to push your site further up the ranks. These are just a few of the important notes you should remember to make your site fly with the Pigeon update. This can help you gain the advantage of the local business competition, and lead more customer towards availing or buying your stuff. Can’t do SEO on your own? No worries, expert SEO services are there to help you. Just find a reliable one that offers local SEO services, and you’ll gain the advantage you need. This year, the Mobile World Congress (MWC) brought mind-blowing technologies and products to the scene. The event was held in Barcelona from 25th to 28th February, and Forest Interactive participated in the event to bring you some exciting ICT solutions developed by the company. MWC is the biggest event of the mobile world where multinational companies participate and portray their products and technologies on a bigger canvas. Under the umbrella of Intelligent Connectivity, this year’s MWC had eight themes—Connectivity, Artificial Intelligence, Industry 4.0, Immersive Content, Disruptive Innovation, Digital Wellness, Digital Trust, and The Future. Let’s give you an overview of the entire event and show you what we saw over there. 5G was the center of everyone’s eye at MWC as it’s going to turn the tables once commercialized. Several companies shared their timelines to unveil 5G service, but there wasn’t any specific date revealed by any of them. However, the 5G technology was showcased as a few companies rolled out their 5G-capable mobile phones. We saw different capabilities of 5G technology at MWC, where the demonstration of real-time robotic surgery by remote doctors, real-time truck driving of a truck in Gothenburg from Barcelona, and jam sessions between far-flung musicians wowed everyone. Sprint expects to commercialize its 5G service in four cities of the US that will hit the market in May this year. Verizon, AT&T, and T-Mobile haven’t revealed the launching date of their commercial 5G service; however, the second half of this year is being considered important for commercialization of 5G technology. Pete Lau, the OnePlus founder, has discussed that 5G will see three phases of revolution—the improvement of data speeds over the next 3-5 years, development of an ecosystem of AI-powered 5G devices, and interconnectivity. Yes! Folding phones took MWC by storm this year. Don’t get it mixed by flipping phones that made an appearance around a decade ago. At MWC, Samsung rolled out its Samsung Galaxy Fold flagship smartphone that has two AMOLED display. A 4.6-inch screen is meant for one-handed use while the phone opens up to a 7.3-inch display. Galaxy Fold is expected to rock the US on April 26th and will hang a price tag of around 2000 USD. 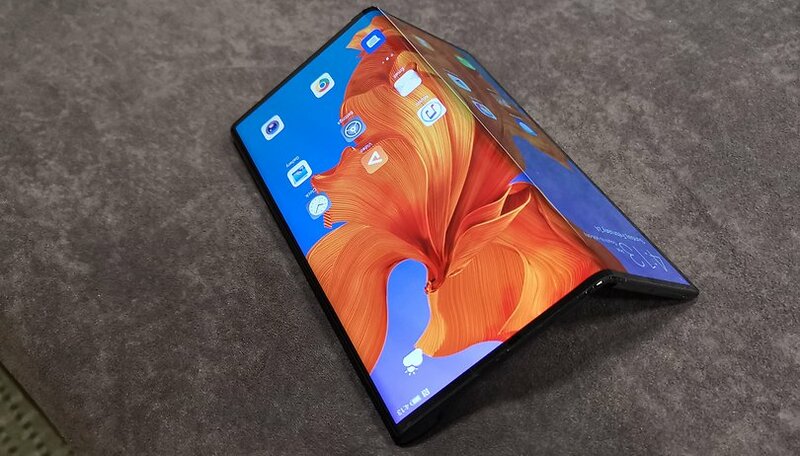 Mate X by Huawei tried to steal the Galaxy Fold’s thunder that is also 5G compatible. Mate X has a single screen that can be used in three modes. When unfolded, Mate X sports an 8-inch OLED display that turns into a 6.6-inch front screen and a 6.38-inch rear screen in closed position. Huawei says that it will roll out Mate X in June or July and Huawei lovers can expect the phone to cost around 2600 USD. Motorola also sniffed the new folding phone trend, and it says that it will launch its folding phone—probably a revival of the Razr brand, which will cost roughly $1500. 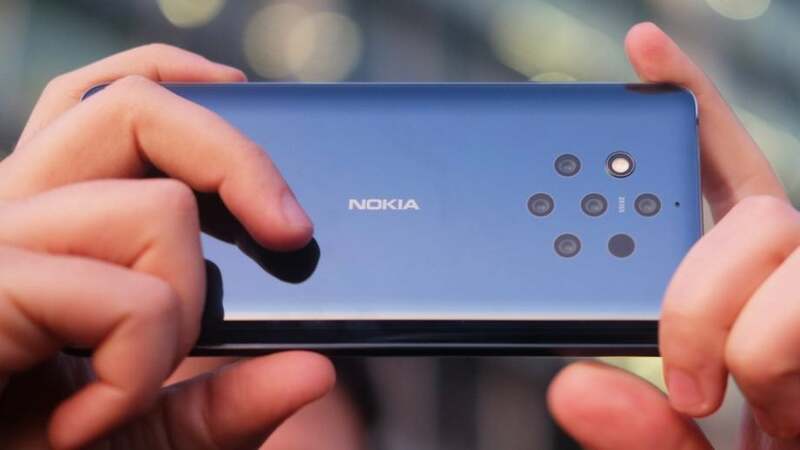 Nokia took a step ahead in introducing photography phone, and it shook the arena with its Nokia 9 PureView cellphone that features five cameras. Two cameras capture the RGB light while the remaining three are meant to pull in black and white data. This innovation will enhance the photography experience of pic lovers. Sony introduced its Xperia 1 at MWC that features a 6.5-inch 4K OLED display. This smartphone also features three 12 Megapixel cameras and the phone costs around £849. Apart from its Fold thrill, Samsung also launched its Galaxy S10 flagship phone. Internet of Things (IoT) got a big shot at MWC as 5G is being considered as the fuel to IoT. Even some people regarded it as 5G-enabled IoT. With the revelation of 5G technology, IoT trends have seen a boom, and the concept of connectivity is prevailing. With ultra-low latency, 5G will enhance the performance of several applications. AT&T and Vodafone Business understand the complexity of global deployments. The goal is to simplify the deployment process, improve operations, deliver innovative solutions, and make the network certification process easier. Yes, we were there! Did you find us at Elfo’s booth? Elfo is an innovative 360 digital marketing service by Forest Interactive that integrates performance-based solutions for digital marketing. Elfo is designed to increase your website visitors, expand online sales and extend your mobile reach. Elfo offers immersive solutions to connect to your target audience through different channels and devices. Elfo is the key to scaling your business in the digital space. Alongside presenting its services and products, Forest Interactive had numerous exciting events that drew everyone’s attention. Winners of different games got iPhone XS and Garmin products by Forest Interactive. This year’s MWC revealed several new products and raised numerous tech claims by companies. Now it’s time for those companies to meet the user’s expectations by providing their impeccable services. See you at next year’s MWC! Learn more on how affiliates and advertisers can win together with our elfomobi platform. Welcome to Part 2 of “How to learn SEO in a Basic Way”. In Part 1 we’ve discussed the jargons of SEO and what are the types as well as the practices of SEO. To continue, we’ll look further on the topic starting with the types of SEO keywords. Read on! 1) Short-tail Keywords as the name itself, consist of short keywords which generally consist of 1 to 2 words only. A short tail keyword is also known as the head keyword. Characteristics: high search volume, highly competitive rate, broad search intent, and low conversion rate . Short-tail keywords don’t convert well because of the difficulty in matching searcher intent and it’s usually used as a theme keyword that appears consistently throughout your website. 2) Long-tail Keywords are more specific and consist of 3 to 5 words. Characteristics: low search volume, low competitive rate, specific search intent, and high conversion rate. One of the most important things you have to know with a long-tail keyword is, when users are making searches using the long-tail keywords, they are usually well-informed and ready to purchase your products or services. Having the right keywords in your content is the first step to a successful SEO. Hence, it’s important to check the monthly search of the keywords and in order to do that, you can use paid or free tool and my favorites are SemRush (Paid), Google Keyword Planner (FREE) and Ubersuggest (FREE). All of these platforms give access for you to find out the monthly search volume and how common the keywords are being used. The only difference is that for SemRush, you would need to pay for the access and its free for Google planner & Ubersuggest, however, I would personally recommend using SemRush for its comprehensive keyword and competition analysis. Now, let’s go through some of the other common questions that people usually ask about SEO. Do I need to master technology to be qualified? Well, the scope of technology is huge and so is the scope of SEO. Those who master SEO make big bucks. To be a master, of course, takes a lot of time and experience but it all starts with learning how to use the essential tools for SEO. Do I need to be smart? You just need to be smart enough to know that this is what you want to pursue and all it takes to begin your journey afterward is to actually learn SEO. How can I become an SEO specialist? If you are really interested to venture into the field of SEO, get familiar with the tools and platforms around and your skills will surely grow based on your efforts and training. This article offers some basics of SEO however, as shared, the scope of SEO is huge. Do your research and read more about it, there are also a lot of videos available online that can help you know more how to use SEO tools. Take the time to participate in training or seminars as well and always keep yourself updated with the latest trends in digital marketing. P.s. Don’t forget to subscribe to our mailing list! We share the latest in the mobile tech industry and digital marketing as well through our news and articles. And if you ever need more help implementing SEO best practices to your business, our performance-based marketing platform, Elfo is here! Established in January 2006, FOREST focuses on providing Application Development and Mobile Related Services to Content Partners and Aggregators operating in the ASEAN Countries. C-5-1 Megan Avenue 2, 50450 Kuala Lumpur, Malaysia.